The purpose of home staging is to maximize a seller’s sales price and to shorten the time a home is on the market by creating excitement and emotional appeal in the buying audience. Understanding the importance of home staging is essential in planning the sale of your home in the Greater Cleveland marketplace. Both Chris and Julie are very experienced and successful in staging homes for our sellers and are acutely aware of the importance of presenting an appealing home to buyers. Ability and resources to bring in other high-powered staging professionals, as well as competent tradespeople, to stage your home in a short amount of time with exceptional and cost-effective results. Our goal is to educate our clients about the entire process of home staging and, while staging is an optional service we provide, we have found it to be a critical element in selling a home. Staging can range from a little sprucing up to painting rooms, to rearranging furniture, to fully furnishing a vacant home. 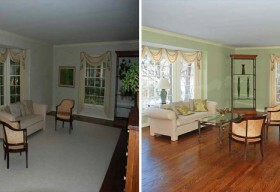 Some homes may have challenges that staging alone will not address. 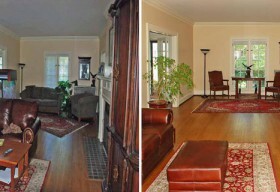 In those cases we offer cost effective redesign and renovation services. Visit our renovation page for details. 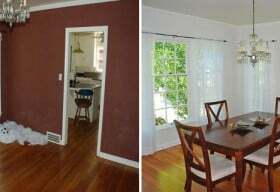 It is important to know that home staging, oftentimes, does not cost much in terms of dollars. It is usually an investment in labor which many clients take on themselves under our guidance. If you decide you want to stage your home, we will conduct an extensive evaluation at no cost to you, and provide a FREE staging report. We will walk through your home with you, room by room, using the report, so you will know exactly what the recommendations are and how to implement them.